Ballantyne has exclusive advertising opportunities to help your business reach your ideal customer! Rise to the top by advertising in 60+ elevators in Ballantyne Corporate Park. Go digital by advertising on eye-catching display screens located in 20+ lobbies throughout Ballantyne Corporate Park. 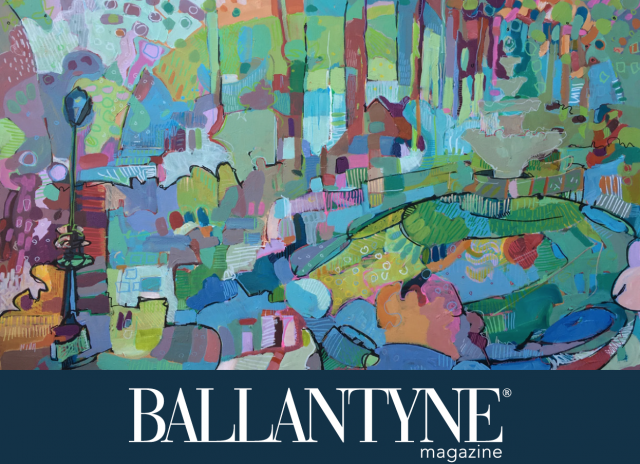 Ballantyne Magazine is your definitive source for the complete Ballantyne experience. Celebrating 17 years of covering this thriving, affluent community in Charlotte, NC, Ballantyne Magazine shares the latest news, enriching features and compelling profiles that expertly capture the local energy. Advertisers benefit from our coveted distribution, gaining unparalleled access to a desirable readership of well-educated, sophisticated professionals. For advertising inquiries, contact Lindsey Scheumeister at (704) 248-2155 or via email.